Greetings, Friends and Readers! Today is a happy day for me and I hope for all of you because I have the great pleasure of announcing the release date for Book 8 in the Children of Angels series. The Choice To Be Free will be released Tuesday, December 27th, 2016. The ebook is available now for pre-order from all of the major retailers. For your convenience we have quick links in the listing under BOOKS above. I was concerned that I wouldn’t get this one out to you before the new year due to an ongoing heart issue. I’m scheduled for a second surgery soon and I hope that will resolve things, but it may hinder me some in getting the next book out as soon as I hope to as well. I have been told that people can’t pray for you if they don’t know of the need, so I thought it was a good time to let you know that your prayers ahead of this next surgery are welcomed. As always, I simply love hearing from and talking to my readers about the stories and characters. So I hope to hear from you as you read this next adventure for Alex and her loved ones. Thank you all for your continued support and love of the novels. The book 5 pre-order links for Nook, Kobo & iBooks are now live. See the BOOKS tab above and scroll down to Book 5 for all pre-order links, or just search for my name or Rohan’s Choice in the e-book stores. I’m excited to bring this story to you as a pre-order item. Hopefully now that we’ve gotten beyond the book 4 and its issues, future books will be available in a more timely manner. I’m looking at releasing 2 books per year. Hang on for more from Alexandria and the Nephilim! 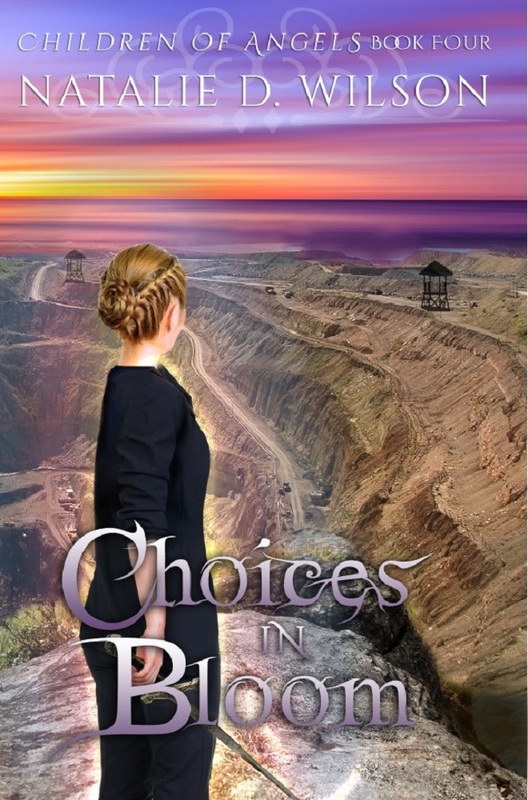 I am excited to announce that, Rohan’s Choice, Book 5 of The Children of Angels series is now available for Pre-Order for Kindle. The release date is February 1, 2015. We have initiated the pre-order review process with Smashwords and hope that pre-order for Nook, Kobo & iBooks will be available very soon. Please check the BOOKS tab in the next few days for live links to the pages for those retailers. I will also post here when all of the pre-order links are live. I know that many of you have told me how much you liked Rohan, so it seemed natural to make his story come next in the series. I hope you will love his story as much as I do!